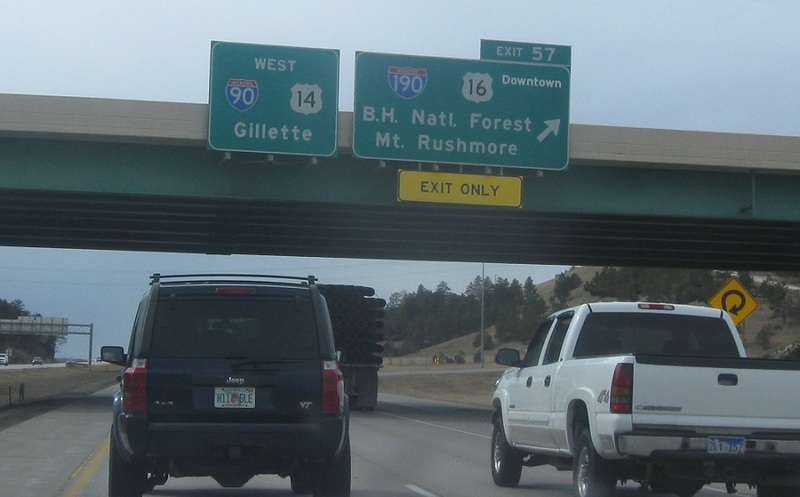 Reassurance shield as 16 Truck and 79 join the concurrency. 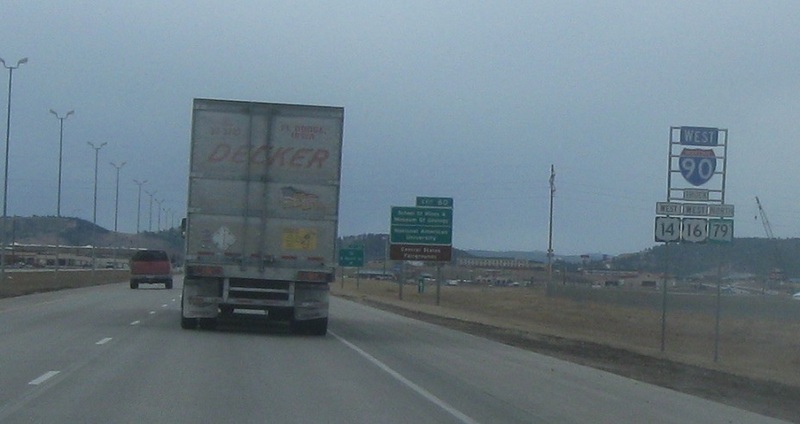 16 Truck gets an erroneous directional. 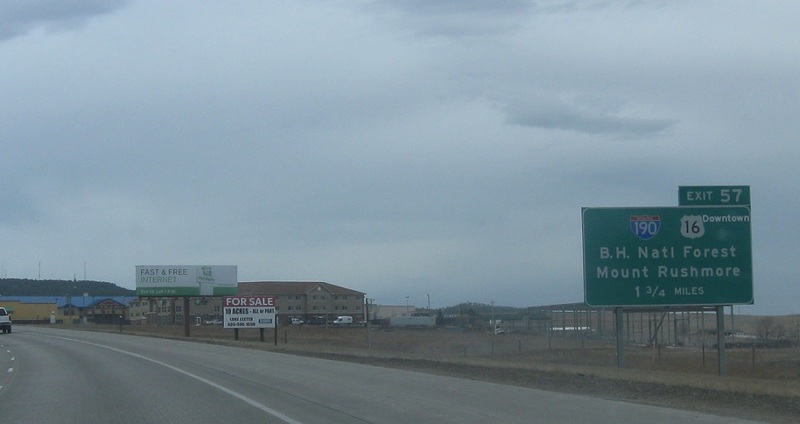 In 1.75 miles, we’ll approach I-190 and US-16. 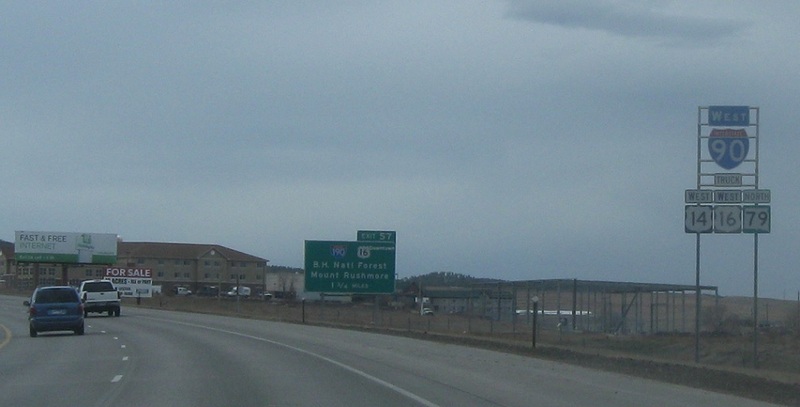 In 1.25 miles, exit for I-190 and US-16, which serve downtown Rapid. 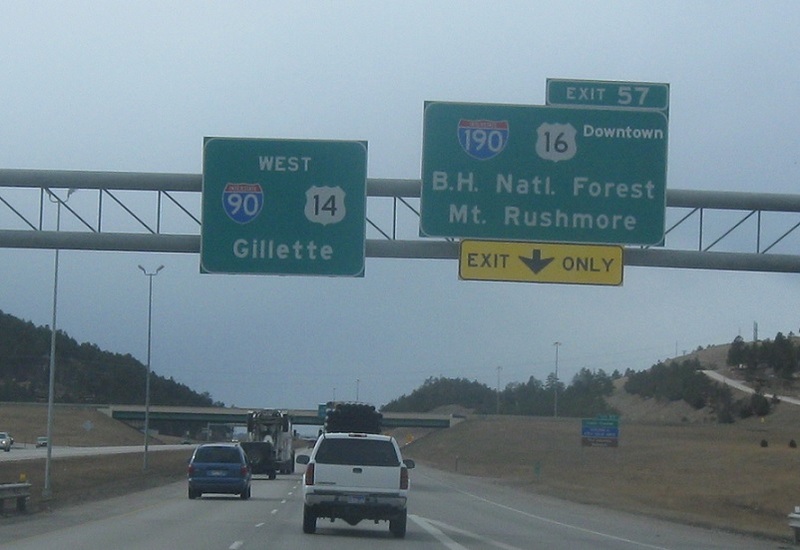 Exit for I-190 south/US-16 west. US-16 truck ends here. 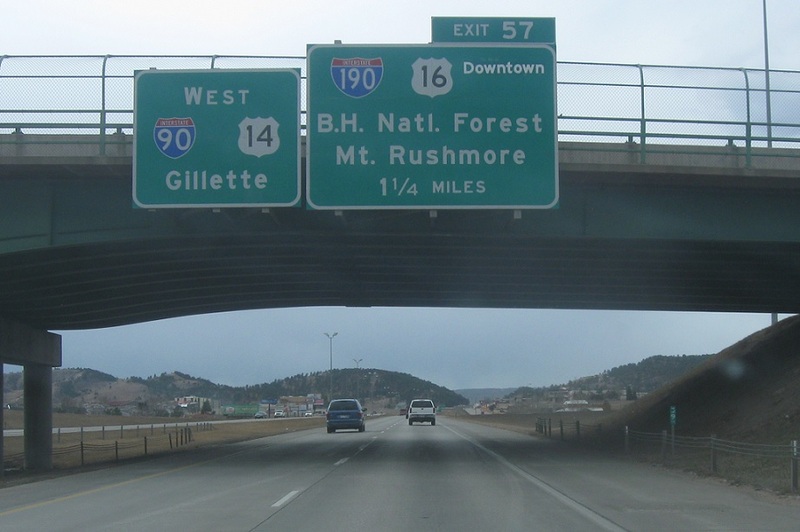 SD-79 continues with the interstate.